Comfortable and compact, our comprehensive range of good quality 2ft 6in small single divan beds are perfect for furnishing the guest bedroom or child’s room. For young children transitioning from a cot or child’s size bed, 2ft 6 small single divan beds provide the most practical solution. The bed’s dimensions and proportions allow you to create more space in bedrooms that may be a little smaller than average. At Divan Beds Centre we offer an excellent selection of affordable 2ft 6 small single divan beds to suit your interior style and pocket. To maximise storage, choose a small single divan bed that features continental pull out drawers or sliding doors in the solid timber base. 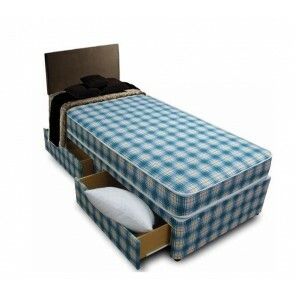 The spacious drawers provide easy access to the toys, bedding or clothing that is stored inside. 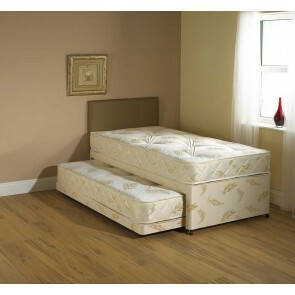 All of our 2ft 6 small single divan beds are fitted with headboard attachments and easy glide castors that allow for flexible positioning in any bedroom. 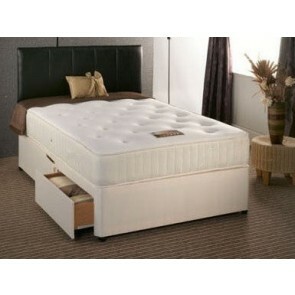 Storage is available on the RH side or LH side, or at the footend of the bed. Create a stylish guest bedroom that doesn’t compromise on comfort, with 2ft 6 small single divan beds from our great range. Our luxury memory foam mattresses enhance sleep quality by contouring to the natural shape of the body, and evenly distributing weight. 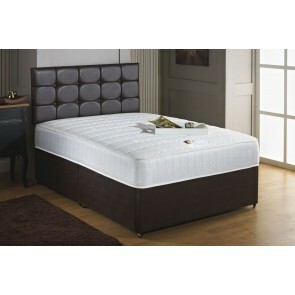 For firm support, choose platform top base small single divan beds or opt for a softer feel with a sprung base. 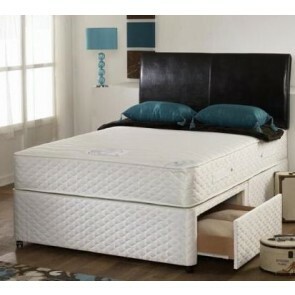 To optimise your sleeping arrangements, select a versatile 3 in 1 guest bed pull out trundle with mattress. Our space-saving trundle 2ft 6 small single divan beds include an additional guest bed inserted into the base, that pull outs whenever you need to accommodate that extra guest. 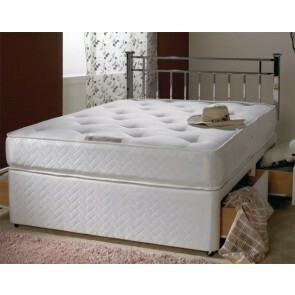 The lower bed is ideal for children and can also be raised on its metal folding legs.